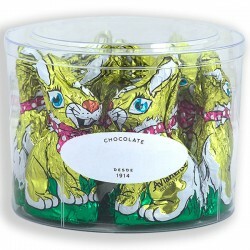 The traditional Easter chocolate bunny with 35grs. 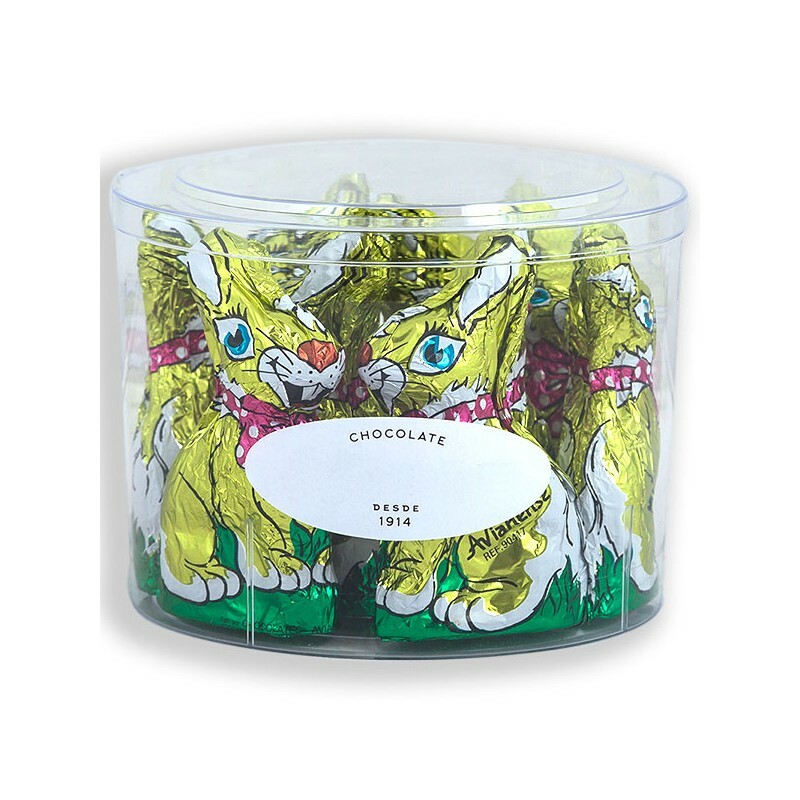 The sale is per unit but is presented in a transparent box with 12 Easter chocolate bunnies. The transparent box is very useful to be placed on top of a counter or shelf.